It’s hard to avoid dryness and damage when you treat your hair like a science lab experiment. Each of your hair strands has three layers. The inner layer is called the medulla, which is surrounded by the middle layer, the cortex. The outer layer is called the cuticle. The cuticle is the layer that protects your hair, and when it is damaged, your hair becomes dry and brittle. 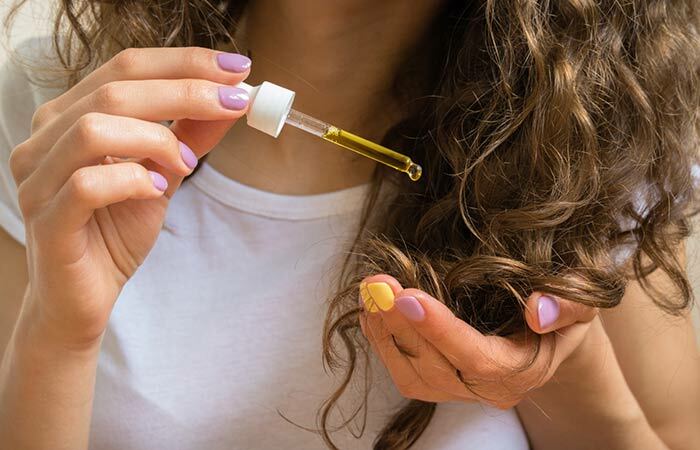 All of the chemical inputs, combined with factors like pollution, heat, and the sun, are bound to have repercussions in the form of damaged hair. There’s nothing more heartbreaking than the thought of shearing your hair off because it has become dry, lifeless, and brittle. You will be happy to know that there are still things you can do to protect and revive your locks. But before we get to fixing the problem, let’s talk about what causes damage in the first place. When you bleach your hair, you are forcing your cuticles open to remove the pigment from your hair. The damage caused to your cuticle makes it weak and prone to breaking and split ends. Since there is nothing to seal the moisture in your hair anymore, it also becomes dry and lifeless (1). What’s even worse is, if you apply heat to your hair while bleaching it, while it hastens up the process of bleaching, it also does a lot more damage to your hair. While dying your hair might seem like a harmless thing to do, the chemicals present in the dyes you use are anything but harmless for your hair. They make your hair shaft porous to the point of exposing your hair’s cortex (2). This damage can last for up to two months, even with proper care for your hair. Permanent dyes do the most damage to your hair. The less permanent the dye, the less damage to the cuticle. Temporary dyes that last through 1-2 shampoo cycles are large molecules and just coat the cuticle, not disrupting it significantly. Perming is the alteration of your hair structure to make it curly. Relaxing makes tightly coiled hair straight. Both use chemicals to break the disulfide bonds between the keratins that make up the hair shaft to either curl the hair or straighten it respectively. Both significantly damage the cuticles, leading to dry, brittle hair (3). Any kind of significant traction can lead to hair loss – whether it is via tight ponytails (esp. ballerinas), braids, or heavy extensions. Hair loss is often seen around the periphery at areas of highest tension. It is temporary at first if the offending hairstyle is stopped. If it is continued, it will become permanent. Also, the accessories used can damage your hair when it is tied or pinned, resulting in breakage. Tying up your hair when it is wet can cause permanent damage to it. Brushing your hair too much will cause more friction than it can take. The brush will snag at knots and cause breakage and split ends. Cheap brushes cause a lot of damage as they get caught in your hair more easily. Shampooing is supposed to cleanse your scalp and remove excess oil and dirt from it. When you wash your hair too much, the shampoo starts to strip away the natural oils, known as sebum, from your scalp. The sebum nourishes and protects your cuticles. When it is stripped away, the hair becomes dry and brittle. Like soaps, some shampoos are harsher than the others. Those with milder surfactants tend to be gentler, just like a non-soap gentle cleanser would be on the face. Heat, in general, is bad for your hair as it opens up your cuticles and dries up any moisture. When concentrated heat is applied to your hair, it becomes dry, damaged, and brittle. Using a curling iron or a flat iron often will leave your hair lifeless and thirsty for moisture. If you do not use your hair dryer the right way, it can also cause damage to your hair shaft (4). Using products like shampoos with alcohol or sulfates can be really damaging to your hair. If you have hair that tends to become dry easily, a shampoo with alcohol will make it dry and brittle. Using products with a lot of chemicals in them is also not good for your hair. The easiest way to know if your hair is damaged is to hold it upside down and run the ends through your fingers. If the ends are sticking out and feel rough, your hair is probably damaged. Damaged hair lacks luster and shine. The hair shafts stop shining when the cuticles are damaged. With damaged hair, you will notice that there is no shine even after a deep conditioning treatment. Take a bit of your hair and gently twist it. Look carefully at the ends of the hair that sticks out. If the ends are split in two, your hair is damaged, and it is time for you to get a trim. While dry hair is not always damaged, damaged hair is dry. If your hair does not seem to be conditioned no matter what you try, it is a sure shine of damaged cuticles that are unable to seal in moisture. 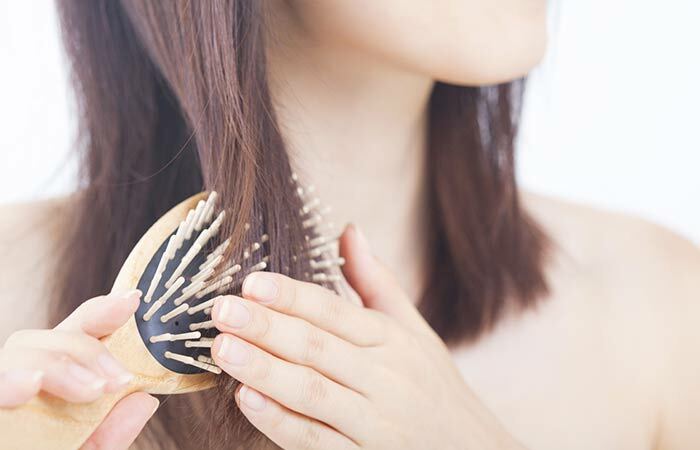 If your hair snaps while you comb it, or even when you run your fingers through it, it is damaged. The tensile strength of your hair shaft reduces when the outer layer is damaged. The elasticity of a damaged hair strand is a lot less than a healthy one. As the cuticle is lifted, it is much easier for moisture to pass. External moisture collects in the hair shaft, and it starts to swell, which makes your hair frizzy. Your hair can stretch to a certain point before it snaps and breaks. The elasticity of a damaged hair strand is a lot less than a healthy one. If your hair snaps very easily, it is likely that it is damaged. Unlike healthy hair, where the shafts are smooth, the rough cuticles of damaged hair get tangled up and result in knots. The dryness makes it hard to get these tangles out, and it often leads to breakage. If you have checked yes for most of the points above, it’s time you start taking action to treat your damaged tresses. With the right care, your hair can be nourished back to health. Repairing hair damage as soon as you notice it is essential because once the damage spreads, you might have no choice but to chop off your locks. If the ends of your hair have a straw-like texture, you must get a trim before you work on restoring your hair. Sometimes, getting a trim is enough to get rid of damage and revive your hair. You do not need to go for an extreme chop. Instead, you can get a trim with layers, which will help you get rid of the damage. If the scissors that your stylist is using are not sharp enough, it will do more harm than good to your hair. 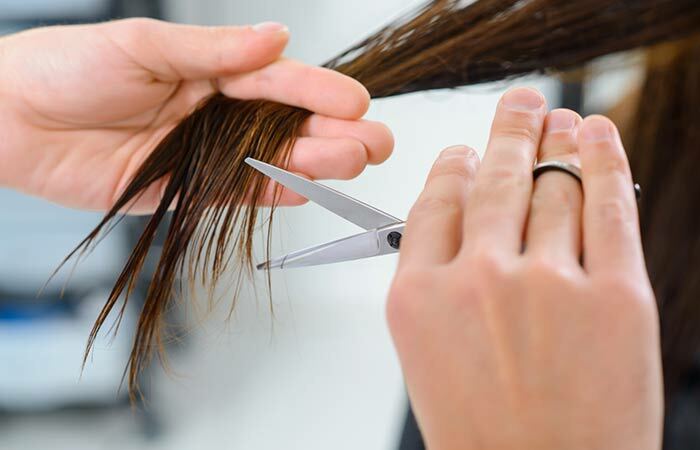 To ensure that a good pair of scissors is being used, get your stylist to cut a wet tissue with them. If the cut isn’t clean, it’s time to look for a new stylist. As soon as you notice damage, it is time to throw away all of your hot styling tools (or put them somewhere where you can no longer have access to them). Heat is anything but good for your already damaged cuticles. Cutting out heat will go a long way in helping your hair recover. Let your hair dry naturally and try out styles that don’t need heat. 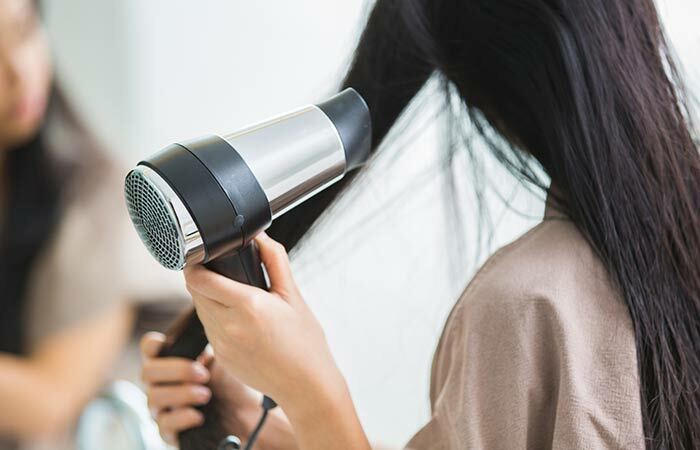 If you use a blow drier, use it on a low heat or a cool setting. As we discussed before, chemicals are your hair’s worst enemy. It is not a good idea to dye, bleach, or perm your hair when it is damaged as it will spread the damage to a point beyond repair. Avoid going for chemical treatments at least until your hair has recovered. 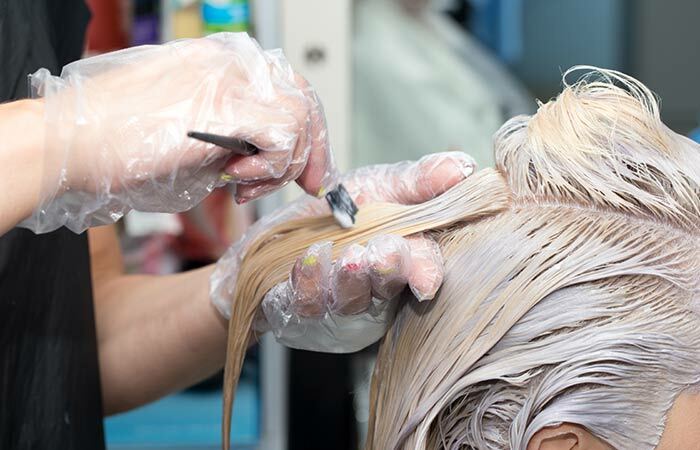 Restorative treatments at salons usually incorporate chemicals. Hence, it is good to steer clear of these and restore your hair using natural ingredients. When it comes to shampoos and conditioners, opt for natural hair products that are free of harsh chemicals like sulfate or sodium lauryl sulfate. Replace your hair products with natural ingredients, such as oils and deep conditioning masks that you can make at home. Though products with chemicals cleanse your hair well, they also strip away moisture and are extremely harsh on damaged hair. To avoid chemical build-up, which will lead to more damage, choose products that are free of harsh chemicals. Oil your hair frequently to keep it nourished and healthy. Different oils like olive oil, coconut oil, and castor oil should be used. Massage the oil slowly into the scalp and leave it on for at least for two hours before shampooing. Follow a balanced diet and take a multivitamin recommended by your doctor. If you are into crash diets or bulimic or anorexic, you could have dry/brittle hair or suffer from hair loss. Consult a doctor for the appropriate measures you need to take. Opt for natural hair dyes like henna or tea, instead of colors that are laden with chemicals. Unlike commercial hair colors, natural dyes are less harsh on your hair. If you need to cover up some grays, or need to add some color to your hair, go natural! If you swim regularly, it is crucial that you condition your hair before you swim. For best results, use coconut oil to condition your hair. It will form a protective layer around your hair shaft, which will shield it from the harsh chemicals in the water. Double up on protection by slipping on a silicone swim cap. This will minimize the amount of water that comes in contact with your hair. When it comes to your hair, maintaining good health is more important than one can imagine. It is true when they say that your hair reflects your overall well-being. Maintaining a balanced diet and a healthy lifestyle, along with regular exercise, can aid hair health. Now that you know how to repair damaged hair, what are you waiting for? Remember, treating damaged hair is not something that can be done overnight, or even in a week. But, you can revive your hair with a little extra care and effort. Incorporate the tips mentioned above in your hair care routine to reclaim the health of your hair. Have you ever had to deal with damage? Tell us about your experience in the comments section below. Name one woman who doesn’t crave to have soft, silky, and long hair. 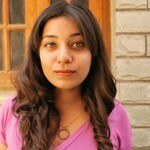 But sadly, our hair becomes prone to damage quite quickly because of the pollution and chemical treatments we opt for.